January 23, 2019, 3:00 p.m. 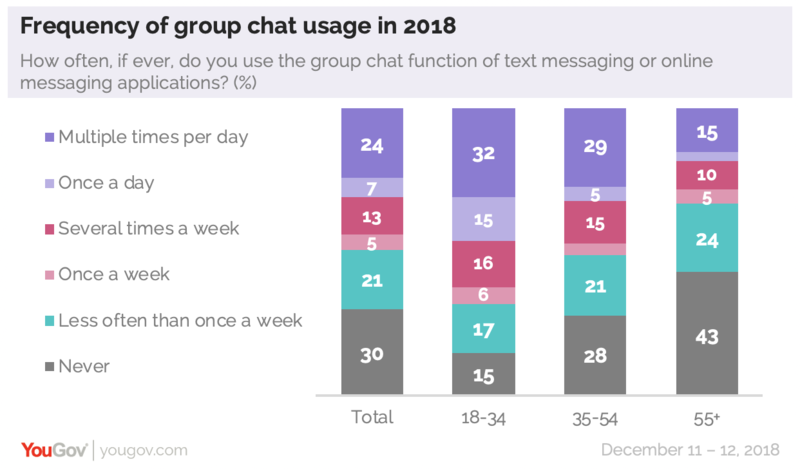 The data shows that by the end of 2018, more than half (57%) of Americans aged 55 and over used group chats. This is a 14-point year-on-year increase on 2017, when just 43% did. YouGov’s research shows that seven in ten (70%) Americans use group messages – either through text or online messaging applications. This marks a seven-point increase from 2017, when when 63% of Americans used them. 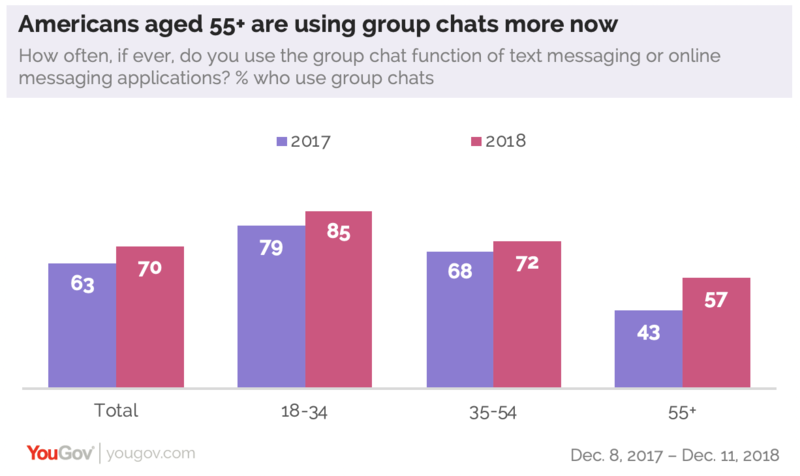 While those aged 55+ show the greatest increase in usage, other age groups also show are also getting more into group messaging. There was a six point increase among 18-to-34-year-olds (from 79% in December 2017 to 85% in December 2018), while 35-to-54-year-olds show a similar trend (rising from 68% to 72% over the same period). 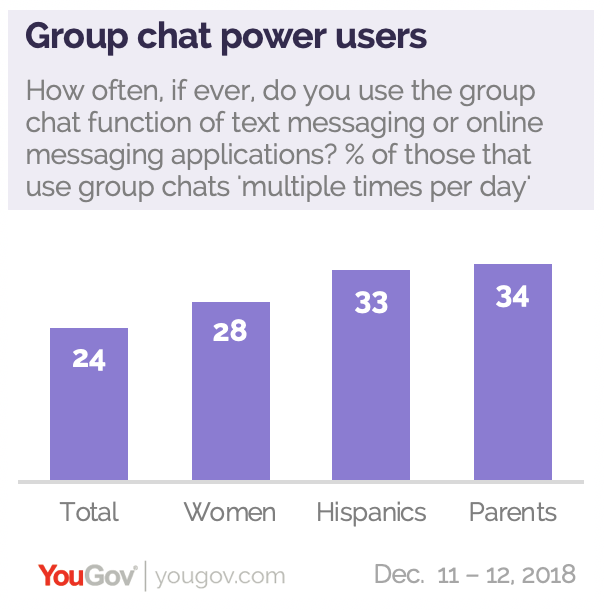 A look at today’s power user s - those who use group chats “multiple times per day” - show they are more likely to be women (28% use group messages multiple times a day vs. 20% of men), Hispanics (33% vs. 22% of whites), and parents of children under the age of 18 (34% vs. 20% of non-parents). 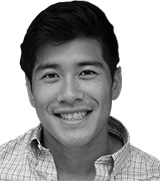 Group chats are also seeing greater use in the workplace - particularly among younger employees. 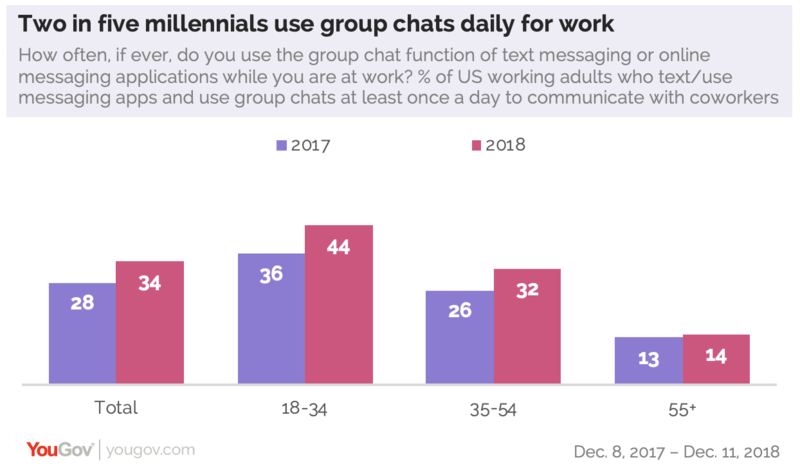 In the past year, there has been a six-point increase in people using group chats to communicate with coworkers on a daily basis (28% to 34%), with younger employees in particular especially likely to use group chats at least once a day (36% to 44%).